From the point of view of continuous professional training, we organise a series of seminars which are open to all Ficep personnel over the course of the year according to a detailed and growing plan of training needs. These sessions, which are held in the several equipped training rooms at the Ficep headquarters in Gazzada, encompass the most diverse themes of our sector, dealing with different technical, strategic and commercial issues each time. 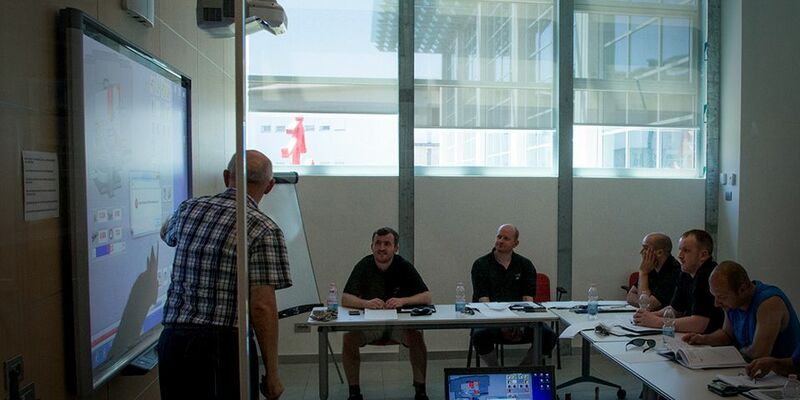 Furthermore, training courses for Ficep personnel to understand our customer processes are held at the Ficep Academy in the newly equipped super modern technology centre and showroom.